Enjoy all the comfort of our rooms at the Brit Hotel Aux Sacres in Reims. 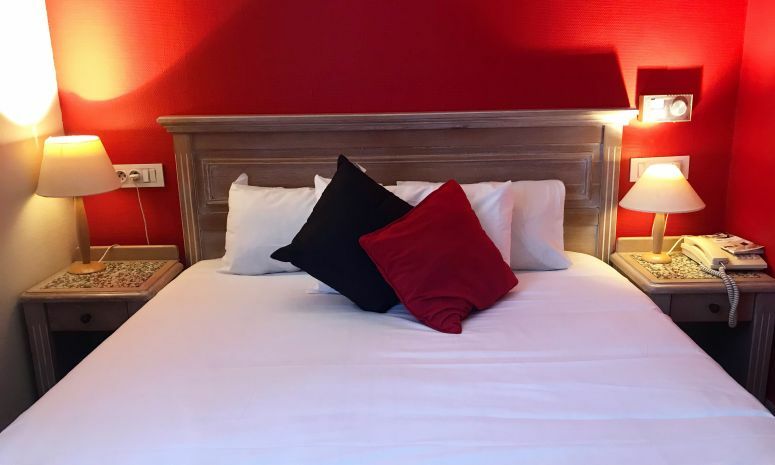 To allow you to spend a pleasant time in our hotel, all rooms are equipped with flat screen TV 66 cm with Canal Plus and Bein Sports , a private bathroom and separate WC . We also offer you a completely free internet connection. Choose your room according to your needs ; whether traveling alone or with family, we have the room for you! Choose from our different types of rooms, all air-conditioned : single, double, twin, triple ... and have an unforgettable stay at our hotel. You can cancel your reservation without charge until midnight the day before your arrival (except promotional rates). After this time, the first night will be charged. To guarantee your reservation, we require a credit card number and the expiration date. No amount will be taken by Brit-Hotel. The payment is directly made with the hotel after your stay.Please call the place if you are not expected to arrive by 8:00 PM.